It's up to you to help our students earn miles to move us across the country. It's our goal to move from Washington DC to Seattle, WA. Students earn miles for every raffle ticket sold! All donations will be handled through our website this year. Students must be registered in order to participate in the fundraiser. In order to register your student(s), you must complete the "Create Account" step on the website. You will be prompted to enter your student information as part of the registration process. Once your student has been registered, other family members will be able to log in as a "guest" and select your student at check-out. Raffle tickets are $20 per ticket. Simply select the quantity of tickets you'd like to purchase to reach the amount you wish to donate. You must select a student from the item page in order to finalize checkout. This is done so that we can correctly match your donation with the proper student. Students have a chance to win over $1000 in prizes this year! Every student who sells a raffle ticket will receive a special Hunt Club backpack this year. 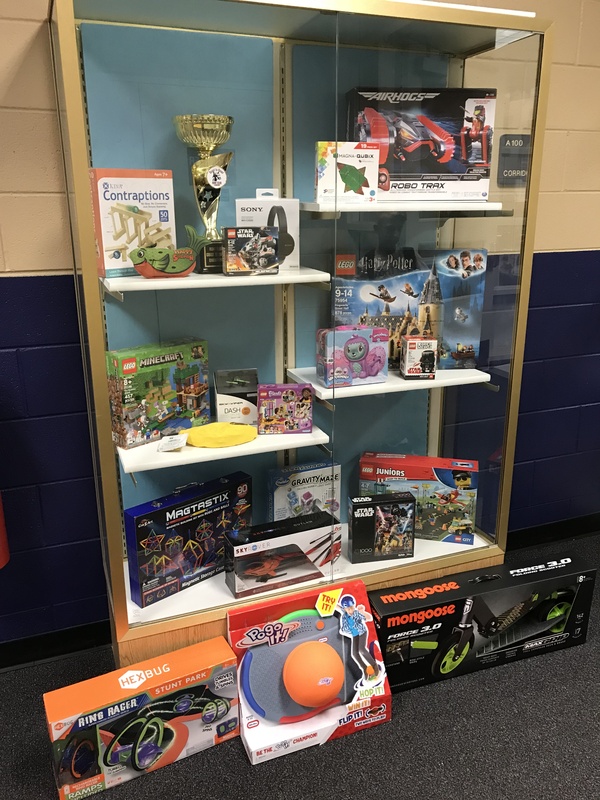 The top ticket seller in each grade wins a prize, while the top three sellers in the school win one of our three top prizes! In addition, we will once again be raffling off "Principal for the Day" at the end of our fundraiser! Here's just a small sample of the many prizes we have to give away this year!